This November 6th is Election day! I can’t think of a more important election to make your voice heard than this one. We all know that women and men were imprisoned, tortured and died fighting for the right to vote. Suffrage activist Alice Paul, civil rights activists Rev. George Lee, Fannie Lou Hammer and thousands of everyday people turned activists, risked their lives to assure the right to vote for all who were denied or disenfranchised from access to the ballot box. Recent backwards policy actions have included a purge of voters from the registration rolls, voter ID laws and other barriers placed in front of people to make it more difficult to cast a ballot. On the brighter side, here in Ohio we do have early voting which extends the ability of a registered voter to cast a ballot from October 10th until Election day, November 6th to better accommodate work schedules and actually make it easier for people to vote. In recent months, the so-called heroin/opioid epidemic has received top billing in print media, radio, television, organized quorums, committees and legislative initiatives. The American Society of Addiction Medicine states in Opioid Addiction 2016 Facts & Figures, "Drug overdose is the leading cause of accidental death in the U.S. with 52,404 lethal drug overdoses in 2015, with the opioid addiction driving this epidemic with 20,101 overdose deaths related to prescription pain relievers and 12,990 overdose deaths related to heroin in 2015." Lakewood’s pit bull ban was enacted in 2008 and over the past 9 years has failed to make Lakewood safer. It is time that we move forward with proven methods to make Lakewood a safer place to live, work and play in for residents and visitors alike. If you think the “I’m With Charlie” movement is just about Charlie and Jennifer Scott, you have missed the point entirely. It’s about a law that has miserably failed our city. It’s about all the good people and good dogs that have gone through hell because of the way they look and not they way they act. It is about ending the ban and enacting stronger ordinances that get to the root of the problem. It’s about more resources, better education, better communication, better enforcement and higher fines for irresponsible owners. It’s about making Lakewood safer than it is now. It’s about respecting bite victims by addressing real problems with proven methods. It's about creating an environment that shows to everyone that Lakewood takes companion pet ownership and safety seriously. It's about teaching our children that discrimination is not the answer. The fear mongering must end. I am sick and tired of people and our leadership pointing to “pit” attacks in order to support the ban. This does not make us safe. Oftentimes these dogs are misidentified or under the 50% pit threshold, making them perfectly legal dogs if they resided in Lakewood. What about the two non-pit dogs that mauled a Sheffield Lake man on October 2nd, causing him to be life-flighted to the hospital? Not one news website reported it because pit-bulls weren’t involved. Sensationalism wins and non-pit-bulls don’t make for high traffic news stories. Ordinance 506.03 is a false law and shouldn’t even be part of public policy. It fails all of us. Let’s put all the science and reputable studies that are against pit bull bans aside for the list below. There are quite a lot. REPUTABLE studies and NON-BIASED organizations that support pit bull bans? ZERO. Why the ban is failing Lakewood. In November of last year, Sabrina Robinson's daughter was visiting the Madison Branch of the Lakewood library to hang out after school and probably get some studying done. However, that did not end up happening as she eventually left the library with a broken jaw that a doctor at the Cleveland Clinic had to reset. Between her entrance and leaving the library for the hospital, she was assaulted by Officer Kevin Jones whose excessive use of force led to her injury. The Robinson family has filed a lawsuit against the Lakewood Police Department for civil rights violation and abusive excessive use of force tactics against their daughter. From Woodstock, while eating an incredibly yummy barbecued meal from a pie tin, I realized how fortunate I am to live in this time and place. Not in the existential sense (though that could be the premise for my next article) but in the geographic one. The writer Adam Gopnik has offered up some recent French history as an object lesson for how we might approach the coming election here in the United States. In 2002, the French far right National Front, headed by Jean-Marie Le Pen, managed—through luck, circumstance and lackluster opposition—to advance to a two-man contest for Prime Minister with the conservative reigning PM Jacque Chirac. When we vote for and elect a person to office, we are asking them to represent us. There are a lot of different "Us's" out there. What I look for in a candidate is someone who is authentically inclusive. Someone who doesn't just say and believe that everyone needs to be respected and heard, but actually does it. Someone who in both word and deed lives that out in their day-to-day life. Kristine Pagsuyoin is just that kind of person. For exasperated parents of sleep-deprived teenagers everywhere, I bring tidings of great joy—or, anyway, some cause for hope, or a cause you might want to embrace. Some thirty years ago educators and social science types, motivated in part by the women’s movement but also by real gaps in achievement between boys and girls, began to recognize the need to address the particular educational and emotional needs of girls, and to fashion opportunities in the classroom and elsewhere that would allow girls to flourish. As the father of a teenage daughter I am grateful for this; my child has opportunities and accommodations that were not available to girls when I was a teenager, and that were undreamed of when my mother was her age. When my daughter started dancing I figured it was going to be a quick fad. At first you could tell she didn’t know anything. The instructors, it seemed, did everything exactly the way it was to be done. I would watch the instructors and then look at my daughter - her moves, steps, turns and even the beat didn’t match those of the instructor. But she kept trying. At the end of the session my wife and I would ask our daughter, “How did you like it?” and she would say, “That was fun.” Then the conversation became mostly she and my wife engaging in deep conversation about the steps and the different names they had for everything. I was simply a fly on the wall as they would talk. I remember thinking to myself as I look back, this is cool, watching as they engaged in a conversation over every detail of what my daughter was learning. It was also educational for me, even though I had never had any interest in dance. Happy New Year, Lakewood! It’s now 2012, and despite the constant blathering last year from the networks and the monotonous deluge of debates hosted by everyone except the cooking channel, we’re in an election year. It might surprise several of you, but I’ve tried very hard NOT to watch any election coverage leading up to the Iowa Caucuses. As a proud independent, I want to watch the primary process about as much as I want to see hot dogs being made. There’s nothing messier than a primary election. It’s a ridiculous process that challenges candidates who don’t actually differ much on major issues to bend over backwards to find some extraneous point that might set them apart from the others, like when my wife asks my opinion on what color to paint the bedroom…they all look tan to me. Is there any more iconic Hollywood image of Christmas than that of little Ralphie Parker in "A Christmas Story," clinging to the top of the department store slide in a desperate attempt to plead his gift request to Santa--“No, no, I want an official Red Ryder carbine-action two hundred shot range model air rifle!”? Earlier in the story, Ralphie even admits to no longer believing in Santa, but seemingly getting nowhere in his other efforts to cajole his parents into the purchase, he submits to a secular version of Pascal’s Wager. I’m sorry to say that this might just be my last submission to the Lakewood Observer. Not because I have nothing more to say, and definitely not because I no longer have an interest in saying it, but because, for the first time ever, I actually fear the repercussions from addressing the subject central to my topic. Yes, I’ve written articles critical of powerful politicians, poked fun at a few religions, and used liberal doses of sarcasm and sacrilege to make my point. But this time, it’s personal. And the risk is a fate worse than death…it’s life, with an angry wife. Something is seriously wrong here. I’m completely confused by what I’m seeing on Wall Street and across the nation. As protesters flood in, the “Occupiers” tell us the system is broken. They complain that corporate profits rose as working wages stagnated, and we’re told that capitalism is failing. When wages did go up, corporations desperate to maintain prices in a cost-conscious market used more automation and shipped more jobs overseas. But, when unemployment went up, we were told that the real culprit was corporate greed. Then, to save those American jobs, the government stepped in and gave billions to companies that had already mismanaged millions, and they told us it was because the free market didn’t work. Seems like the days of “reading, writing and arithmetic” have taken a back seat to the new “ABCs” of the education process: “A. B. C…Always Be Closing…We're adding a little something to this month's sales contest. As you all know first prize is a Cadillac El Dorado. Anyone wanna see second prize? Second prize is a set of steak knives. Third prize is - you're fired. Get the picture? You laughing now? You got leads. Mitch and Murray paid good money to get their names to sell them. If you can't close the leads you're given - you can't close nothin’. You ARE nothin’. Hit the bricks pal, and beat it 'cause you are going OUT.” This isn’t a quote from the movie paraphrased in the title, it’s the pep talk your sixth grader is getting at school. Stop dredging this up, I thought to myself. The memorials, the flags – there’ s been plentiful commemoration. And here I am, sleepless, almost tearful, about September 11, 2001, before I fall asleep on September 14, 2011. I was sixteen on September 11, 2001. I was a junior at Lakewood High school. It was a normal Tuesday. Without describing too many mundane details, just picture a sixteen-year-old girl in a semi-cool American Eagle Outfitters outfit carrying a gym bag containing Adidas shorts and an oversized t-shirt for cross country practice. I got to homeroom in plenty of time to socialize with my friends on that day, which is saying a lot, because to traverse the entirety of the high school takes at least seven minutes at a moderate pace. I told myself not to. I suggested that my wife didn’t either. I knew what my reaction would be, so I tried not to watch any of the coverage of the ten-year anniversary of the attacks of 9/11. But I failed. I guess it was just too prevalent; the shows were everywhere and on seemingly every television channel. And I guess my curiosity and solemn nostalgic reflection just couldn’t turn my head away. So I watched, and I remembered, and I cried, all over again. I hate to be the bearer of bad news, but you’re a fool, a gullible sheep, or as some would say, a useful idiot. Yup, I’m talking to you. If you’re reading this article right now and you’ve already made up your mind as to whether I’m a genius or a moron just by reading the title, then, sorry to be the one to have to tell you, but YOU are what’s wrong with this society. Reports out of Tar Heel, North Carolina suggest that it will be a rather interesting election this fall. That’s because in the small town of 117 residents, no one has registered themselves as a candidate for the position of mayor, or any of three open commission seats. That’s right, this coming election, the city will have ballots with no names, just empty spaces for people to write them in. As shocking as this seems, the existing mayor isn’t surprised, and, to tell you the truth, neither am I. This isn’t just a problem of voter apathy. For decades, we’ve been a fickle society when it comes to turnout in the voting booth. This is different. In my opinion, this type of problem signifies a more troublesome shift in American politics. While this country was founded on the principles of a representative republic, if you look at our system today, you’d be hard pressed to fit the current model back into its original mold. I’ve had the unnerving experience of staring down the barrel of a loaded gun aimed at me, I’ve jumped off a three story cliff into water I wasn’t sure was deep enough to safely accept my fall. And I’ve been on a small boat in stormy seas where the waves were higher than our tallest mast. Many times in my life I’ve faced debilitating fear; for my safety, my health or even just the fear of failure. But after reading the complete context of the previous statement, for the first time in my life, I’m actually feeling a little scared for my country. What good will become of this? The golden arches of Hamburgerdom are swallowing up Lakewood’s last theater and forever changing the face of Detroit Avenue and therefore the face of Lakewood. First and foremost, it would be disingenuous of me not to disclose that my family and I live on Woodward Avenue, the splendid Lakewood residential street that will be most impacted by the specter of McDonald’s demolishing the Detroit Theater and imposing its will upon us. I don’t mean to brag, but I’m pretty much unbeatable at tic-tac-toe. Yup, if there were a tic-tac-toe hall of fame, they’d have to dedicate an entire wing to commemorate my active winning streak. After all, I haven’t lost a game in close to 30 years. And I know what you’re thinking, but even in this modern sports era, not once have I ever been convicted of doping or using performance enhancing drugs. Yes, there was that unfortunate incident at the Helsinki Championships when some say I should have been penalized for use of an improperly formed “x”, but I was eventually exonerated. While I’m a firm believer in the benefits of a formal education, I cannot discount the intellectual insights I’ve discovered by watching movies. Case in point, I’m a big fan of the wisdom bestowed by Jack Palance’s character, Curly, in the movie "City Slickers". In the movie, Curly suggests that the secret to life is, “one thing, just one thing. You stick to that and the rest don’t mean…” well, it don’t mean nothing. It took Billy Crystal’s character most of the movie to figure out what his “one thing” was, but once he did, everything else fell into place for him. And, while I realize that it wasn’t a true story, I believe that the premise is absolutely valid, and applicable to more than just individual life. He didn’t need to explain any further. In our marital shorthand, I understood the question and all that it implied. For years we’d been thinking about finding a new place to put down roots. It had become a hobby of sorts: every city where his employer has a branch office had been subject to our speculation. We’d even come up with a new word—“fake-ality”—to describe our possible future lives in these places. Fake-ality scenarios were theoretically possible, highly unlikely, and lots of fun to think about. Money may be the root of all evil, but in my opinion, greed and jealousy are the branches and leaves of the tree. Greed, defined as the selfish and excessive desire for more; and jealousy, meaning hostility toward one believed to enjoy an advantage: individually they are destructive forces, but when brought together, they can be as volatile as any explosive and as corrosive as any acid. And the real trouble starts when people believe that they can use them as tools without a proper respect for their devastating effects. In modern capitalist societies, has meaningful class struggle disappeared? Most theories of American exceptionalism emphasize income advancement opportunities in the United States as it has developed into the world’s richest economy. But the United States ranks not only as the richest society in the world, but also far and away as the most unequal among all advanced industrialized nations. From it earliest years, American capitalism has relied upon massive social and class inequality, despite all rhetoric to the contrary. Revolution is as unpredictable as an earthquake and as beautiful as spring, as the recent uprisings in the Middle East shaking the foundation of that volatile region and the populist uprisings burgeoning in our own backyard to counter Governor Kasich’s attempts to put the final nail in the coffin of the Ohio middle class can attest. Its coming is always a surprise, but its nature should not be. Revolution is a phase, a mood, like spring, and just as spring has its buds, shoots and showers, so revolution has its epicenter, its bravery, its hope, and its collective solidarity. No revolution vanishes without effect. The Prague Spring of 1968 was brutally crushed by the Soviet Union, but 21 years later I was in Prague as a second wave of revolution liberated Czechoslovakia. Alexander Dubcek, who had been the reformist Secretary of the Communist Party of Czechoslovakia, returned to give heart to the people from a balcony overlooking Wenceslas Square: "The government is telling us that the street is not the place for things to be solved, but I say the street was and is the place. The voice of the street must be heard." My heart and my prayers go out to the people of Japan. But at the risk of sounding callous, a part of me actually envies their situation. Not that I wish that kind of death and devastation upon anyone, nor do I long for the overwhelming heartache and hard work that lies before them. But when it comes to adversity, I’m beginning to think that overcoming the known difficulties of a natural disaster might be simple in comparison when facing the unknown obstacles of an un-natural one. Hello, My Name is Bret, And I Have A Problem. There’s an old joke that went something like this: I used to be addicted to cigarettes, but then I tried nicotine gum. I no longer smoke, but now I chew 10 packs a day. When I think about the first time I heard that joke, it still brings a smile. But when I think about how appropriate that story is to describe the current state of things, it scares me a little. Breaking the grip of an addiction is no laughing matter, and there are far too many examples of people finally breaking free of one substance, only to become addicted to the cure. The cycle of addiction and the consequences of any lack of self-control can be devastating to individuals, families and friends. The hard part is that, lately, I feel like I need to attempt an intervention. Unfortunately, I’m not sure how to get the entire United States of America into my livingroom. And even if I did squeeze everyone in, I’m not sure how to get them to listen. After all, there are plenty of programs to help you stop smoking, drinking, or even taking drugs, but I’m unfamiliar with a single program that will help ween us off of government subsidies. 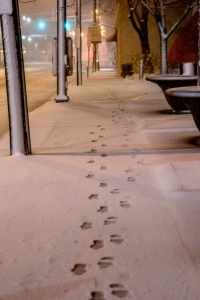 As the year started anew, I feared that not much had changed. Unemployment remains high, federal spending even higher, and politicians continue to squabble over thousand-page bills that seem to drive down the economy almost as fast as their own approval ratings. There is no shortage of issues and topics that get my blood boiling and frustrate me to no end. But as I sit here, I find myself strangely reluctant to write. There’s a fresh new calendar hanging on the fridge, yet, here I am, sitting at my keyboard, staring at the same old issues burning up the news. And despite hearing glorious cries for civility and teamwork from our elected officials, I see the same old business as usual in Washington--fear-mongering and scare tactics are standard operating procedure and spin doctors and statistical magicians run the show. A good old-fashioned bank robbery evokes images of a gun-toting masked robber, stick-up note, getaway car and clandestine murky hideout. Tabloids and film have memorialized this interpretation for decades and, to an extent, will probably continue to do so, but a new script has been written and has been playing at a bank near you. There is an ironic twist in the storyline, however: Banks are now robbing people--their customers!--in ways Dillinger would never have envisioned. In this new age of ever-increasing technological advancement, computers and plastic are the preferred weaponry of commercial banking gangsters and the bloodshed is red ink for banking customers. Enter stage left, Fifth Third Bank, et al. The amounts of money Fifth Third has allegedly fleeced from its customers via improperly assessed overdraft fees would make Bonnie and Clyde look like pikers and make Nigerian scammers foam with lust. If you are, or were, a Fifth Third customer, you are probably aware of a pending class action suit against them. The lawsuit alleges that the bank improperly assessed overdraft fees for insufficient funds by “re-sequencing” transactions in order to maximize the number of overdraft fees. Although Fifth Third denies these claims, they have agreed to pony up $9.5 million into a settlement fund. This is dedicated to all those people who make this city a wonderfully crazy, uniquely iconic, and individually spectacular place to live. Here’s hoping that the New Year brings you continued success. You have my personal gratitude and greatest appreciation. My family was sleeping as best as they could. Despite making noises the neighbors abhor. With visions all blurry from drinks they had downed. Now that Thanksgiving is behind us, tis the season…to once again be ticked off at possibly the biggest injustice in American sports. No, not the use of the designated hitter. I’m talking about the worst scam in modern history not affiliated with Bernie Madoff: College Football Bowl Season. So, where do we go from here? The election is over and, for better or worse, our mayor is off to tackle bigger and scarier problems. But that still leaves us with a lot of work to do. 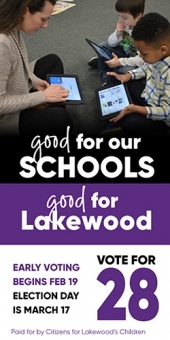 Sure, Lakewood has been named a great suburb, with nationally acclaimed restaurants, top quality schools, a superb library, and a growing arts scene. But there’s always a budget crisis looming and the burst of the housing bubble has left us trying to squeeze blood from a turnip when it comes to property taxes. Several Issues ago, I posted my reading list for a self imposed “fall semester” (‘back to school’ - #0618). I’m happy to report that I’ve finished the first two books with a flourish. But now halfway through the third, I’m thinking of dropping the course all together. I love to read, and I love to learn, but I’ll be honest with you, I’m finding John Maynard Keynes’ “The General Theory of Employment, Interest and Money” practically unbearable. At the start of each work day, my alarm goes off. Or at least I expect it to, as long as I set it correctly. I turn the knob on the lamp by my bed and expect the light to come on. I turn on the shower and expect the water to flow. I hop into my car and expect the traffic lights to work properly and the roads to be maintained. I expect the police to preserve the peace. I expect the fire department to protect my house. And God forbid something bad happen in the course of my day, I expect that our local hospitals are well staffed and prepared for any emergency. ut is that fair? I pay my taxes and pay my bills, but is that enough to cover the cost of those expectations? That may be what I’ve been led to believe, but that’s just because I expect my representatives to tell me the truth. I’m not sure why the media haven’t sent any political analysts to Cleveland. If they want a true read on the upcoming election, they should stop trying to predict a winner and instead come to the one place on the planet that has more experience than anyone in something just as handy: spotting a loser. It’s like watching a Browns game. It’s a crucial drive and the Browns are facing third and long on their own side of the field. While the defensive coordinator is struggling to figure out what coverage to call, thousands of fans across Northeast Ohio already know what’s coming. It’s 3rd and 14… here comes the draw play for a gain of six yards. Last year I hit a big milestone in my life, but now that I think about it, I believe I overlooked something. A year ago, I turned 40. My wife threw me a great party with lots of food and friends, but it wasn’t until a recent conversation with my doctor where we discussed hereditary medical conditions that a question came to mind. If most of the men in my family don’t live past 80, then when exactly am I supposed to have my mid-life crisis? As the hundreds of yard signs have been reminding me, school’s back in session. And as many of the people who know me will tell you, I will always count myself as a student. The older I get, the more I realize how little I know. Fortunately, unlike in high school, I’m now at a point in my life where I can determine my own course of study, which makes learning a lot more fun, but, surprisingly, not the least bit less challenging. When you pick the topics, it becomes much easier to get tunnel vision, only researching ideas that support your own predetermined conclusions. It becomes easy to set aside books and papers that challenge your opinions. And, with no one but yourself to evaluate your work, it can become sloppy and incomplete. There’s no test to determine if you read every last page of a book or took the time to fully comprehend a research paper. SOCIAL STUDIES: With a passion for historical study and an interest in economic theory, I’m planning to focus this school year on depression-era politics. On the recommendation of a friend, I’m starting my study with the book "The Great Depression: a diary" by Benjamin Roth, which I’m told is a very personal account of the effects of personal and political decisions on the life of a Northeast Ohio family. 1.) If elected to the position of County Executive, what three or four goals would top the list of things that you’d hope to accomplish during your term in office? Anyone elected should take a lesson from the NFL, NBA, or any other professional sports league. The goal of an administration should be that of any good referee: make sure the rules are applied evenly and never take over the game. The best official is the one you rarely see, and one that is always honest and fair. Government, on any level is no different. 2.) What do you regard as the major challenges that must be met in order for the new system of county government to succeed? The major challenge isn’t getting the system to work, it’s just in figuring out how the system is supposed to work. Check out the county website and you’ll see a long list of departments, boards and initiatives. Any candidate who suggests that they have a clear vision for the direction of the County Government isn’t being honest, because nothing in government is clear. There are overlapping fields of responsibility, job redundancies, hundreds of cracks to fall through, and thousands of loopholes to hide behind. 3.) How do you define good government? The best government is minimally invasive, modernly efficient, and maximally effective. But, since the next time that is accomplished it will also be the first, how ‘bout we just start with something that is completely deficit neutral: financially, intelligently, and, given what we’ve been living with for the past couple of decades, especially morally and criminally. I don’t think the law allows me to put into print all of the things I’ve been called in my lifetime. Dumbass, smartass, idiot, moron, racist, bigot, zealot, Nazi, communist, radical, and even xenophobe (yeah, I had to look that last one up too) are just the tip of the iceberg. When I was in grade school, the name-calling hurt. Sticks and stones may break my bones, but playground rhymes did not adequately defend me from the hurtful comments of others. As I got older, the only thing that changed was the nature of the insults, not their frequency or intent. I remember being really confused by the meteoric rise of all the new businesses that were suddenly coming out of the woodwork. With many of the commercial aspects of the internet still unexpolored, new businesses that utilized its seemingly limitless potential were making money hand over fist and rushing to increase their piece of the pie by tapping the latest gold rush to hit Wall Street, the I.P.O (Initial Public stock Offering). But despite the seemingly can’t-miss moneymaking opportunity, I decided to pass. I just couldn’t understand how a company that was made up entirely of three guys with a laptop could be estimated to be worth millions. But thousands, if not millions, of investors who did believe that financial success did not require a dime's worth of infrastructure flooded into the market, only to have the illusionary stability collapse and the “dot-com” bubble burst. Strangely enough, I got a lot of positive feedback following the article naming my mother as the primary culprit for creating the conservative monster I am today. However, as this is the month to honor fathers, perhaps it’s time for the other shoe to fall. While my mom was, and still is, the primary parental authority in what made me the person I am today, I must also give tribute to the male influences in my life. Yes, you heard me right, “influences,” as in the plural. Looking back, I may just owe Attorney General Eric Holder an apology. A year ago, I took considerable offense to him calling us a “nation of cowards”. In his speech, Holder pointed to the substantial number of racial inequalities and tensions that continue to haunt this nation. In my article, I argued that the primary problem wasn’t with the color of a person’s skin, but with the thickness. It was my opinion that the minimal amount of real racism that remained in the country was far outweighed by a residual social guilt kept alive in an out-of-control world of political correctness and perceived insult. My son comes to me all the time asking for help looking for something he lost, and my reply is usually the same: “How about you clean your room first. After that, if you still can’t find it, I’ll be glad to help.” Although it’s not the answer he’s looking for, it’s the solution he needs. After all, losing something rarely is the main problem; it’s usually a side effect of the real issue-- disorganization. I find it curious that many of the people who argue for removing the Ten Commandments from courthouses and outlawing nativity scenes from in front of city halls are some of the same ones who use an appeal to my Christian faith when trying to persuade me to approve certain other progressive agendas. “What would Jesus do?” isn’t just a bumper sticker anymore, it seems to be the newest battle cry for liberals looking to sway Christian conservatives into gaining an appreciation of government-funded social programs. Milton Friedman and John Maynard Keynes have got nothing on me. You can take your Supply-Side Economics and your Laffer Curve and toss them right out the window with every other principle you learned in college Economics. I don’t need a Ph.D. or an M.B.A. to know exactly what to do to solve the financial woes of this country. And I certainly don’t need an entire staff of tweed-wearing, pipe-smoking, Ivy League intellectuals to help me explain it to the American People. I choose not to live in fear. It’s amazing how many people don’t even realize they have this choice. But, even more amazing is the number of people that opt out of that choice. Have you noticed how much the news is dominated by crisis after crisis? Every other headline seems to focus on the next big adult equivalent of a monster in the closet, or boogeyman under the bed. I feel like I’m stalking Douglas Elmendorf. That’s the name of the number one author on my reading list. But, he doesn’t write mystery novels, cookbooks, or even comic books, and while I’ve never paid a dime for any of his publications, I log on almost every day in anticipation of his latest release. And no, despite being one of the most unassumingly influential people online, he’s not really a blogger. Douglas Elmendorf is the current Director of the Congressional Budget Office. I had chicken pox when I was a kid; it got me out of the final week of school. I got mono in high school, have suffered food poisoning, and have had more than a few cases where the flu knocked me out for days. I’ve known family and friends who have suffered and died from some of the more deadly diseases, including AIDS. But despite even the recent calls for concern about H1N1, Bird Flu, Swine Flu, Mad Cow Disease, or even Killer Bees, I must admit that there is only one virus right now that scares me; and, while it’s been around for centuries, a potentially devastating strain seems to be building in at least one eastern US city. I’m a little confused as to what the fuss is all about. Turn to one news channel and you’re likely to hear all about violent racists who hate immigrants, are against aid to the poor, and want to secede from the nation. Turn to another, and you’ll hear talk about a sweeping movement of patriots who are trying to restore honor and sanity to the system. Ask one person and they’re heroes, ask another, they’re villains. I guess tea is no longer just a drink with jam and bread (and yes, I realize I’m losing credibility by using a Sound of Music reference). I don’t remember asking for a train, I don’t remember seeing anything about a train on the last ballot, and I certainly don’t recall hearing candidates give speeches on the issue of a passenger rail between Cleveland and Cincinnati. In fact, the last time I ever heard the topic come up in a conversation it sounded a little like this: “Man, it would be pretty cool if I could just hop a train to get to NY or Chicago”, to which I responded, “You can, but the train leaves at 2am, it’ll take you all day to get there, and it costs about as much as a plane ticket." End of discussion. But now, all of a sudden, the State of Ohio has come up with this grand scheme to build a high speed rail line linking Cleveland, Columbus, Dayton and Cincinnati. Forget about the fact that “high speed” apparently begins with a top speed of 80mph and an average travelling speed of 40. Disregard the fact that the price of a ticket will be more than what it costs to drive. And let’s, for now, ignore the fact that the government doesn’t exactly have the best record when it comes to operating public transportation (How’s that community circulator working out for ya?). Let’s actually start with the question, "WHY?" Here we go again. Another election, another ballot initiative on casino gambling. While I wasn’t alive during prohibition, this has to be what the final years of that experiment felt like. The whole country was drinking, everyone knew it, and the lawmakers finally had to admit that it’s next to impossible to legislate morality. Maybe if they had some other angle, or some sort of Al Gore-esque, feature-length documentary on the evils of alcohol, perhaps the 18th Amendment to the Constitution would have had a chance. Or, maybe not. It’s like running in mud: the faster you try to move, the more you slip and slide, getting nowhere quick and getting plenty dirty. So, after weeks and even months of debate, here we are, still talking about healthcare, though judging by the clips making the news, there doesn’t seem to be much actual discussion going on. Too many people with too little information are talking at each other and not with each other. Attempting to debate the issues recently, I’ve been called many names, had my character, ethics and moral guidelines questioned, and I have even been challenged on the validity of my personal faith. Though the temperature might not agree, fall is coming. The sun is setting earlier, and our disappointment in baseball is slowly fading into a sense of dread over the coming football season. What that means to most families is that either school has just started or will begin shortly. I can tell I’m getting older because, at this point, about the only thing I remember about going back to high school was the feeling of dread about finding my new locker, remembering the combination, and trying not to get lost learning my way to a whole new set of classrooms. With all of the blockbusters that have come out this year, I think my favorite so far has been the newest addition to the Star Trek series. I was a big fan of the original show in syndication, and an even bigger fan of the later entries, including "Star Trek: The Next Generation". When I went to see the latest movie, it occurred to me what a politically diverse crowd was in the theatre. While I didn’t take time to interview each audience member, based on the conversations I overheard during the previews, I think it was safe to say that Republicans and Democrats, Liberals and Conservatives, all were sitting side by side in eager anticipation.